Go to the cashier’s ‘Redeem Coupon’ section and enter coupon code 200ALLTHEWAY before making your deposit of $35 or more! 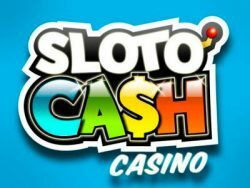 Offer holds 40x slots or keno playthrough + 10x roll over on spins winnings and no max cashout. 50-SWINDLE promo holds 40x slots playthrough and $500 max cashout. Coupons MUST be redeemed in order! Valid until tomorrow, Sunday, October 24th!